The early 20th century saw significant changes in the saddlery business as the industry became mechanized and wholesalers who previously supplied small harnessmakers moved into manufacturing. "Lincoln is now thoroughly equipped to send out anything needed from the chain harness for the ox team to the finely finished coach harness," said a local newspaper in 1904. 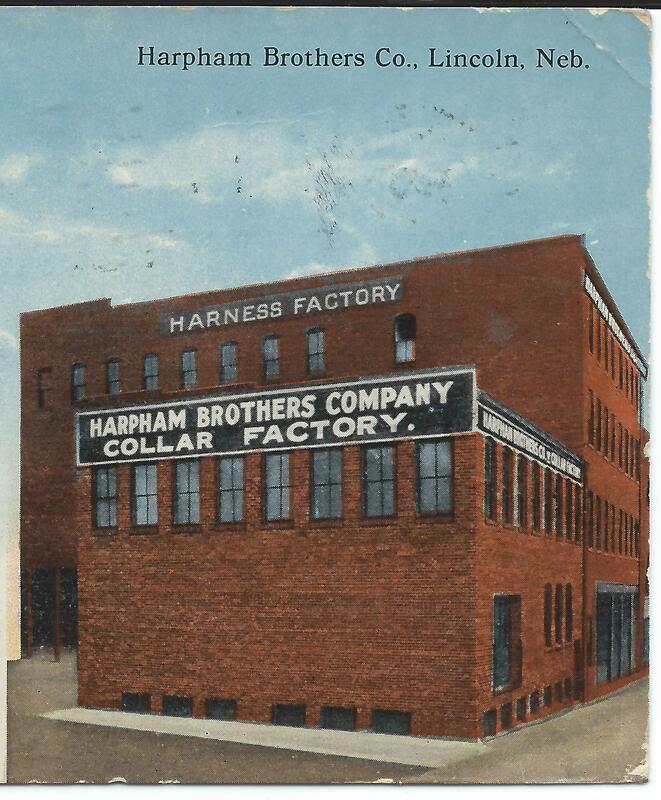 By 1905 there were three Lincoln saddlery factories, two of which were located in the Haymarket. 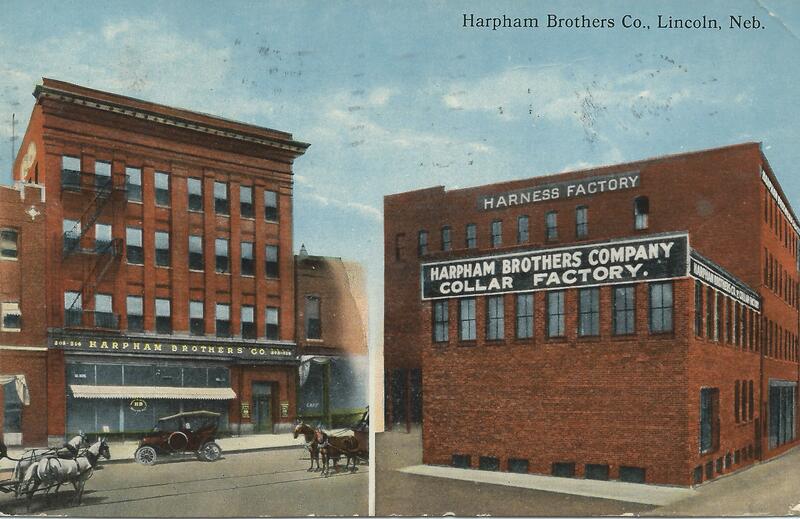 The Harpham Brothers Company started in 1884 with the two owners as the only employees. Their four-story building of 1903 housed 82 employees in a structure specially designed as both a wholesale warehouse and a thoroughly equipped harness and saddle factory. The brown-brick P Street facade is one of the most dignified in the district, with three-story tall pilasters framing the upper floors, restrained copper cornice, and nicely detailed main entrance. That doorway echoes in miniature the design of the whole facade. Note also the wrought iron decoration of the fire escape. Attached to the main building at the east rear (visible through the courtyard) is the Harpham Bros. horse collar factory, added in l912. 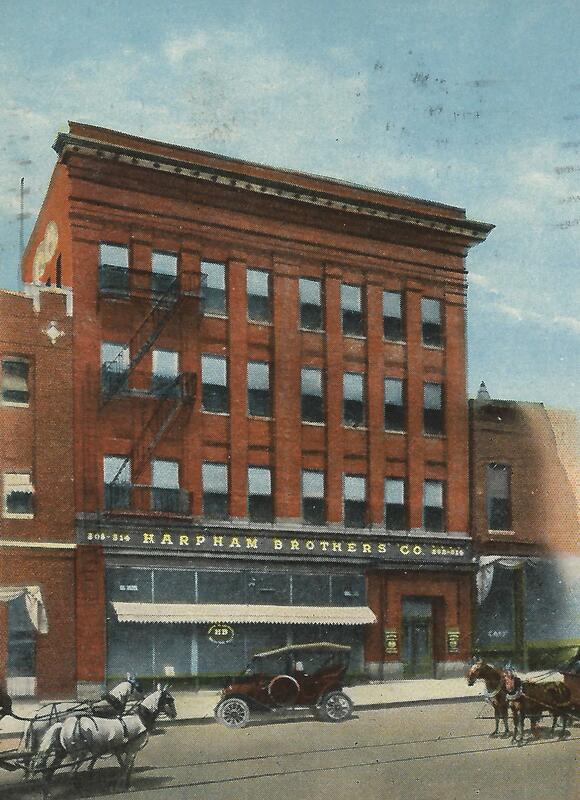 Harpham Brothers remained active until the mid-1950s, manufacturing harnesses, briefcases, golf bags, belts and saddles. 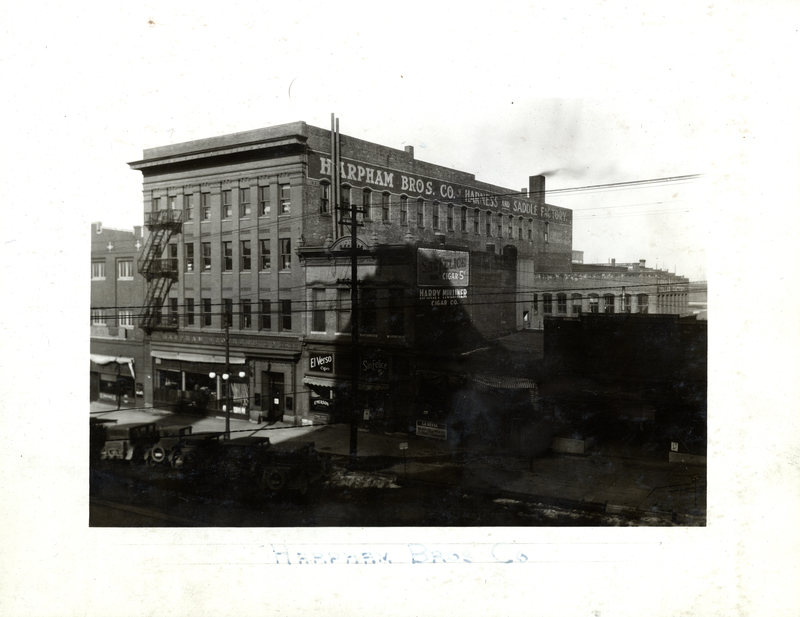 Today the Harpham Building is the centerpiece of "Haymarket Square," one of the inaugural efforts sparking the Haymarket’s revitalization in the early 1980s. The mixed-use project consists of four buildings surrounding an inviting courtyard. Erickson/Schulz Associates were architects for the redevelopment.